Chop one large onion finely. Also chop a 1 inch piece of ginger and a tbsp of coriander leaves. Puree two tomatoes. Heat 1 tbsp ghee in a pan. Saute onion and ginger until brown. Add tomato puree. Also add coriander now - we're using it for flavor not color in this recipe. Saute until the masala is very dry. Add 1/2 tsp salt and 2 tsp of chhole masala. Add the chickpeas and stir for a minute. Add enough water left over from boiling chickpeas to cover them entirely. Bring to a boil and simmer for at least 15-20 minutes for the flavors to sink in and gravy to thicken. The chickpea curry is good enough to eat with paranthas, rice or poori. Bhathuras are obviously a great choice, so that's what mom made. 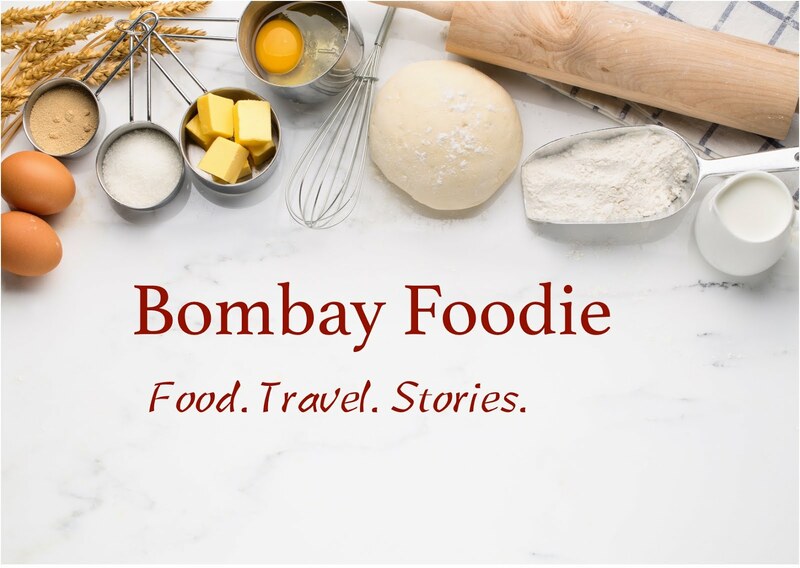 For her recipe to make perfect bhaturas every time, stay tuned! Oh Simran..proper Punjabi chole is what I just luurve! And your mom made it? It must be lip smackingly yummy. Lucky u.
Ha ha!! Exactly the role I take when my Mum cooks:) Yummy chhole there - how about some tikkis or bhatura to go with it? 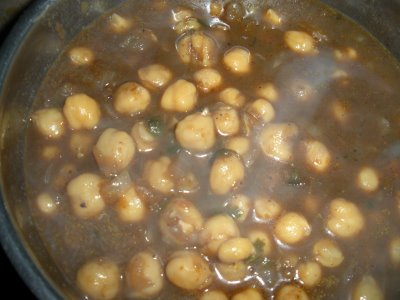 Lovely chole.I enjoy chickpeas in many versions.This is traditional and is lovely with bature. oh thats great!...you can never say no to a punjabi chhole! A very interesting idea that of using a tea bag when cooking chickpeas. Thanks for participating. Moms always know best and usually they cook the best too. I guess you were talking about the choel.